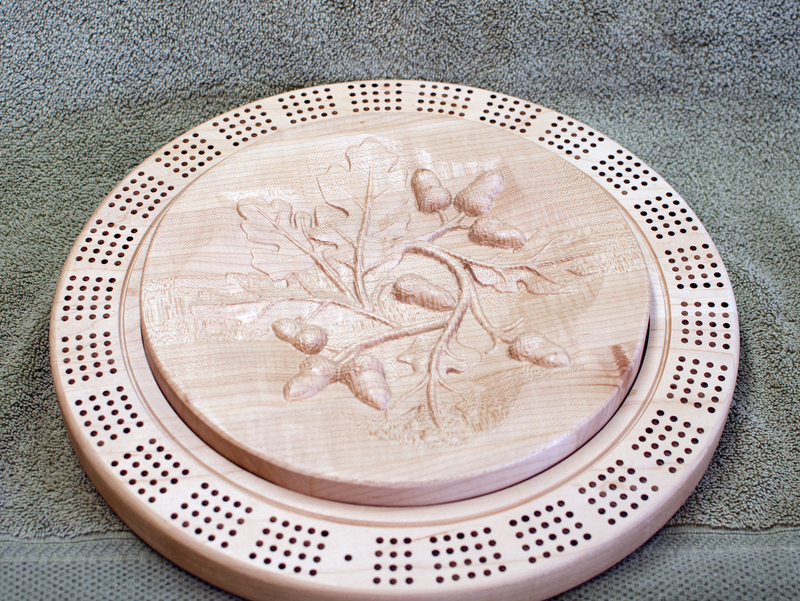 Cribbage 18 – 02. 4-player track. Hard Maple. Top with 3D carving. Lacquer finish.